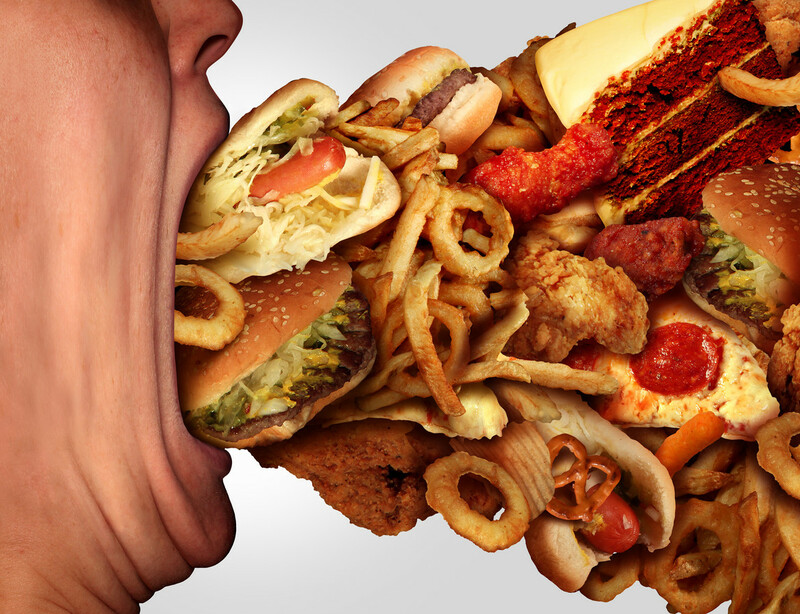 Eating junk food is one of the worst things you can do to your body, and also to your mind , since there is a strong relationship between this type of food (high in saturated fats, refined flours and added sugars) and our state of health mind . In particular, several studies have indicated that people who consume this food are often more likely to suffer from depression . A study conducted by the Department of Psychiatry at Columbia University wanted to find out if foods with a high glycemic index (a scale that classifies foods with a high carbohydrate content by how much glucose levels rise after consuming them) were associated with higher odds of depression . They analyzed data within the questionnaires of the Women’s Health Initiative , conducted to learn more about the health of women beyond menopause, a group little studied. They limited the information to that from some 70,000 women, none of them depressed at the beginning of the study . The data showed that following a diet with a high glycemic index , including those rich in refined flours and added sugars , was associated with greater odds of depression . In contrast, some aspects of the diet seemed to have the opposite effect, such as fiber , eating whole grains , fresh fruits and vegetables and whole or lactose, a type of sugar that comes from dairy and is placed in a position low within the glycemic index. In this study it was not possible to determine the mechanisms by which this relationship occurs, but the authors suggested different possibilities: either that an excessive consumption of sugars and refined starches is a risk factor for inflammatory and cardiovascular diseases , both related to the development of depression, or that this type of diet leads to the development of insulin resistance, which has been related to cognitive defects similar to those found in people with major depression. Another study , conducted in Spain, has also tried to delve into the relationship between junk food and depression. Realized by scientists from the University of Las Palmas de Gran Canaria concluded that people who often consume these foods are 37% more likely to develop depression than those who never or almost never consume them, and that as the amount ingested, those probabilities also increase. The researchers studied a group of almost 9,000 people for a period of 2 to 6 years as part of a long-term analysis. At the beginning of the study, none of them had been diagnosed with depression or taking antidepressants. When finished, about 500 had been diagnosed or were taking this medication. Participants were asked to report how often they ate food from a certain list, which included things like hamburgers , sausages , pizza or sweetened industrial pastries . The authors observed that the more fast food you eat, the greater the risk of depression , and that the correlation also happens the other way around : the more depressed you are, the more likely you are to eat large amounts of junk food. In both cases, researchers have not been able to unravel how eating junk food causes depression, and neither does that happen or if it actually happens the other way around. What does seem to be clear is that both go hand in hand . There are more factors involved: people who eat larger amounts of junk food are usually single or live alone, are less active and have other bad eating habits , such as eating little fruit and vegetables as well as few healthy fatty acids in the form of nuts, fish or olive oil. They also tend to have bad habits outside the kitchen: smoking or working more than 45 hours a week. Although much remains to be investigated to clarify how fast food and depression relate to each other, it seems clear that reducing the amount of these foods we eat is not only good for our body, but also for our mind .